We hope you have a wonderful celebration planned. Remember we have a hundred and one great ideas for 4th of July party food here. But I just couldn’t resist one more simple treat in the red, white and blue spirit to tempt you. 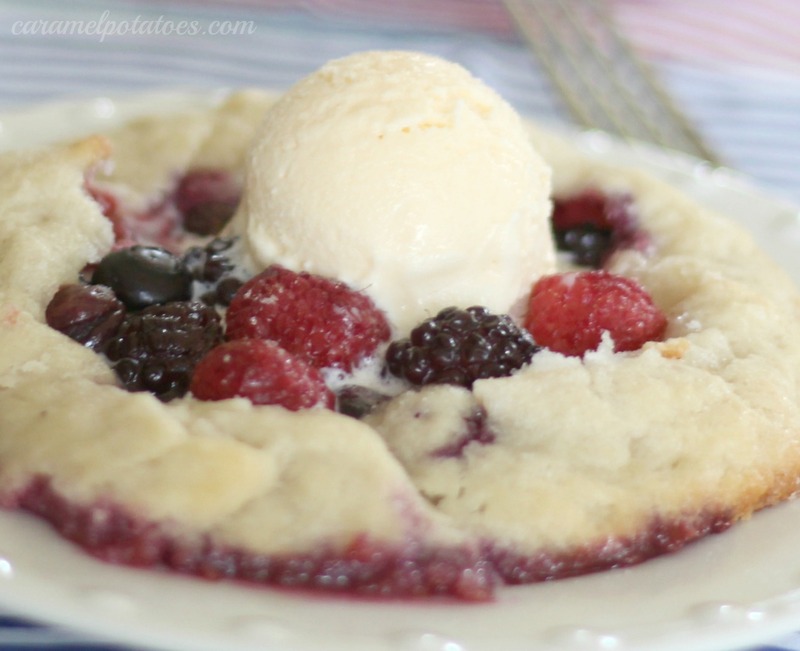 Raspberries, Blackberries, and Blueberries in a simple sweet crust topped with vanilla ice cream. Mmmm . . . beautiful, but also easy to make. Preheat the oven to 450 degrees. Line a baking sheet with parchment paper or grease well. Divide the dough into 4 equal pieces and roll into a ball. Roll the dough out on a lightly floured surface into a 6-7 in circle. (If dough is sticky, roll out between two sheets of plastic wrap.) 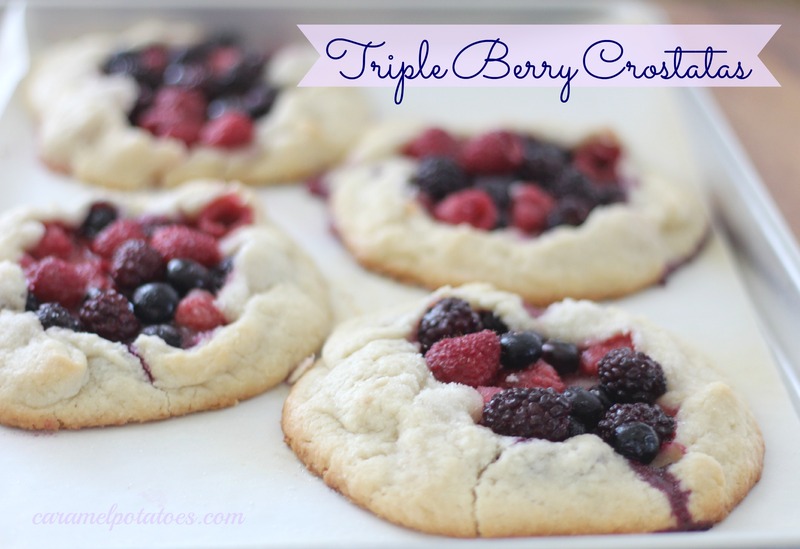 Transfer to baking pan and then spoon 1/2 cup of fruit into the center of each circle leaving 1 1/2 inch border all around. Sprinkle the remaining 1/2 cup sugar evenly among the fruit on each crostata. Fold the edges up around the fruit, overlapping and pinching in place as need. (Don’t worry if it’s not perfect – crostata is suppose to have a rustic look. That’s why is so simple.) I like to sprinkle a little more sugar on the crust before baking. Bake for 12-14 minutes, until brown around the edges. Cool for no more than 10 minutes. Serve warm with some ice cream or whipped cream. 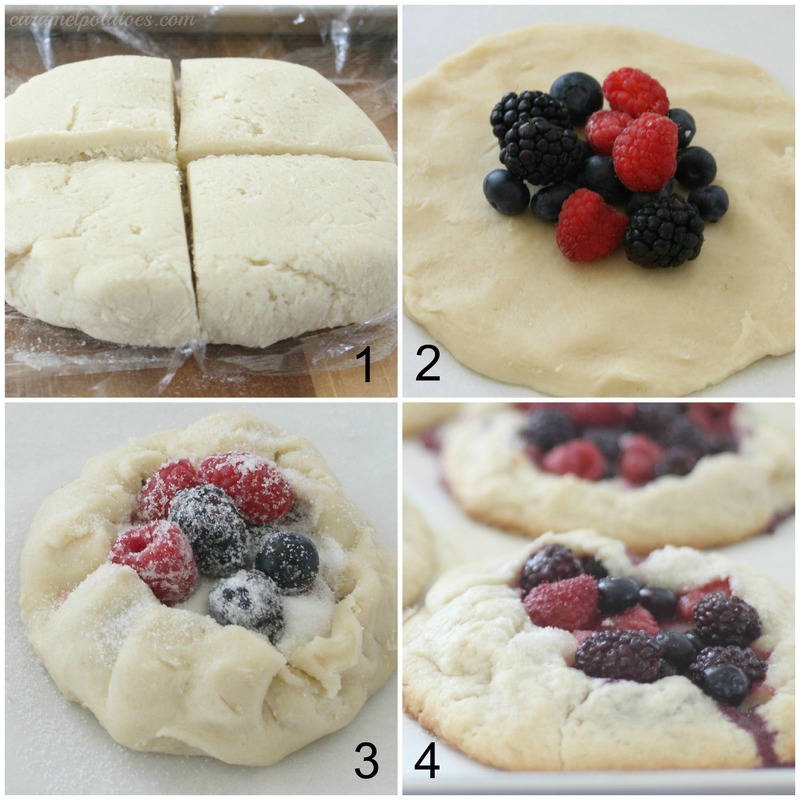 NOTE: You can use frozen fruit, but it must be completely thawed and drained before added to the dough. I made these this weekend. Turned out really good and simple to make. This one is a keeper for me. Thanks!